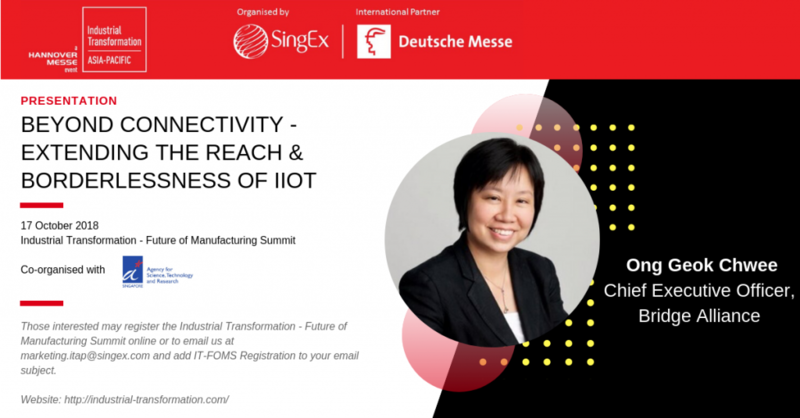 Join us at Industrial Transformation ASIA-PACIFIC where Geok Chwee will be sharing about extending the reach and borderlessness of Industrial IoT at the Industrial IoT Forum. Enterprises deploying regional IIoT & M2M services & solutions across various countries will increasingly require reliable network connectivity. This implies reliance on partnerships with network providers that can ensure smooth, secure and reliable services. This presentation will provide insights into evaluative parameters for enterprises to consider against their needs.